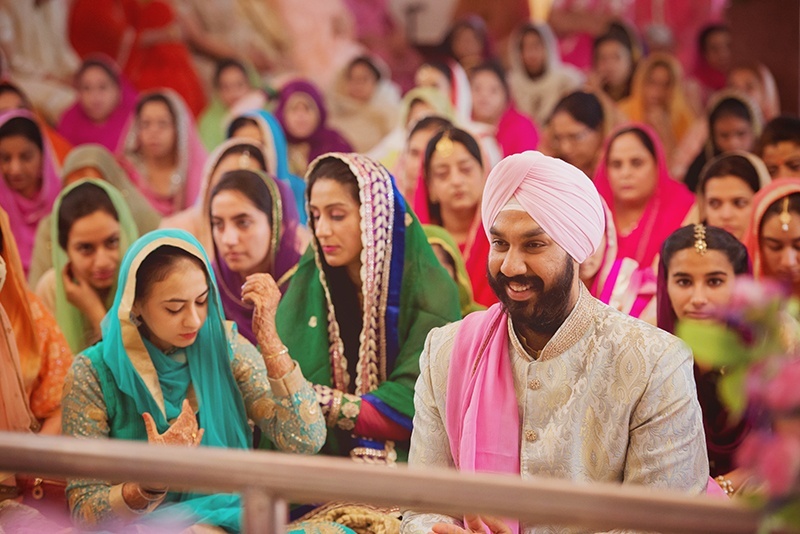 Sikh weddings and pink are beautifully synonymous with each other! 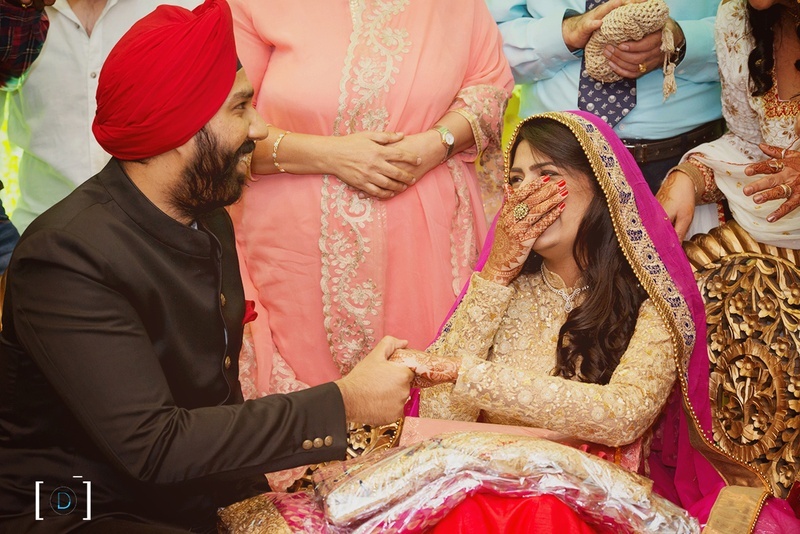 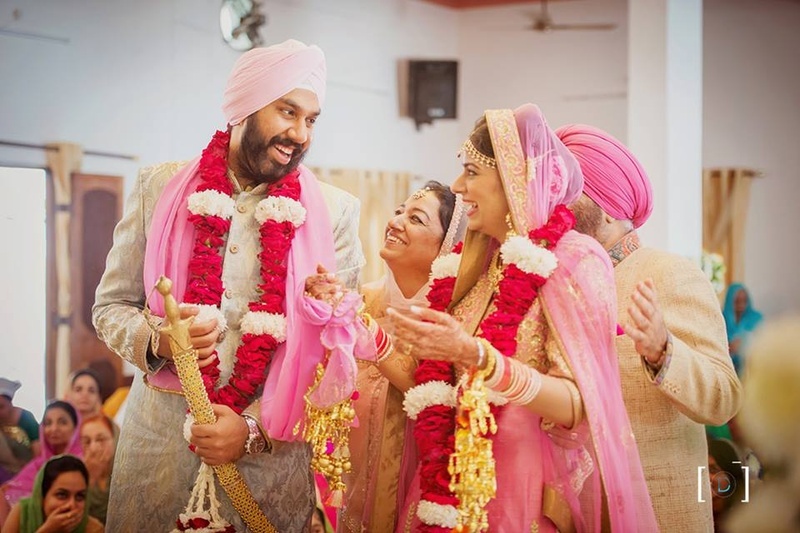 Tejkaran and Bismin too had a pretty pink sikh wedding held in the city of lakes, Bhopal! 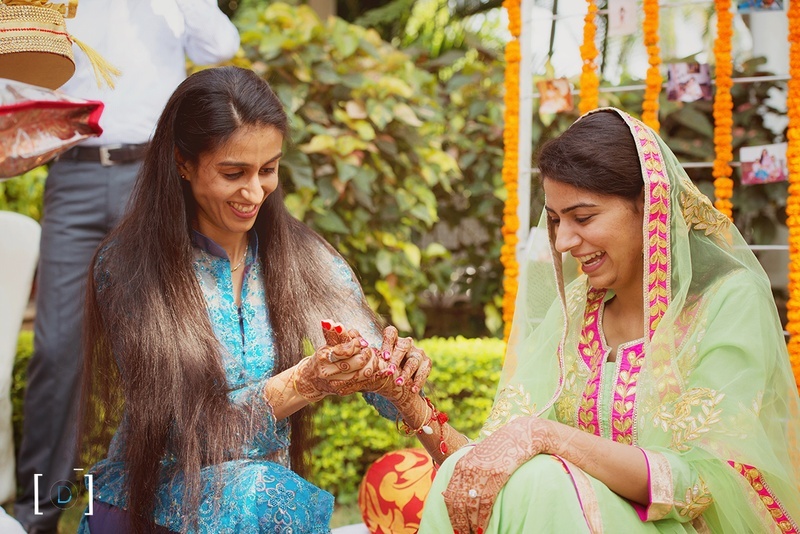 Celebrations began with the mehndi and sangeet at the Jehanuma Palace Lawns, Bhopal. 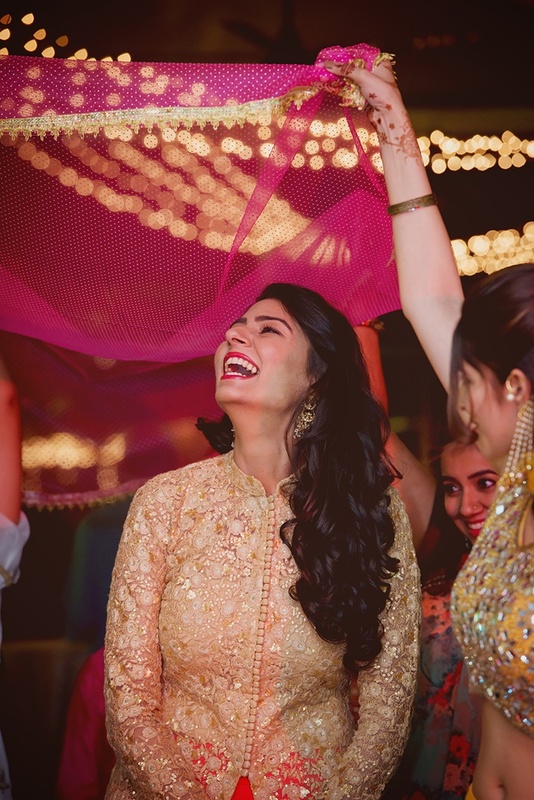 If you want to learn how to be a stylish bride, take cues from this stunner, Bismin who rocked each look - from a Punjabi bride at the wedding to flawlessly pulling off an a-line gown at the sangeet! 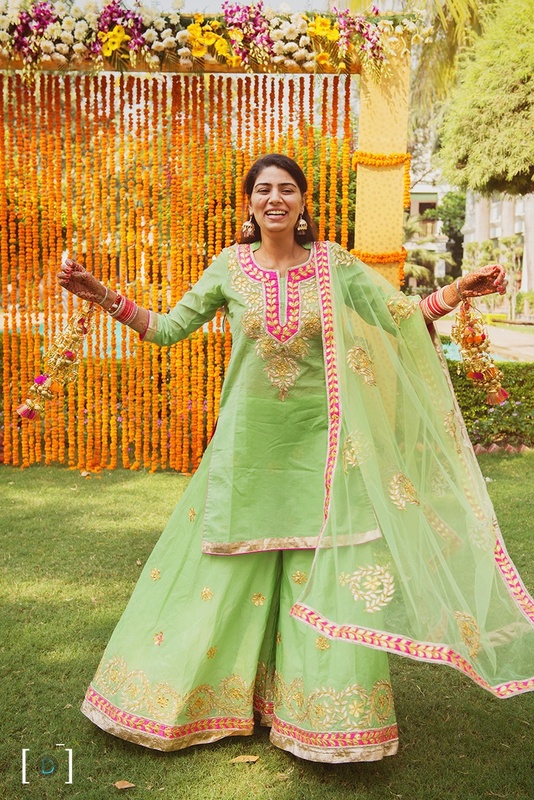 One of our favorite outfits Bismin wore was her pastel pista green sharara and kurta with stunning gota work.The tinges of pink along with her dense gold kaleere only worked magic on to her entire ensemble. 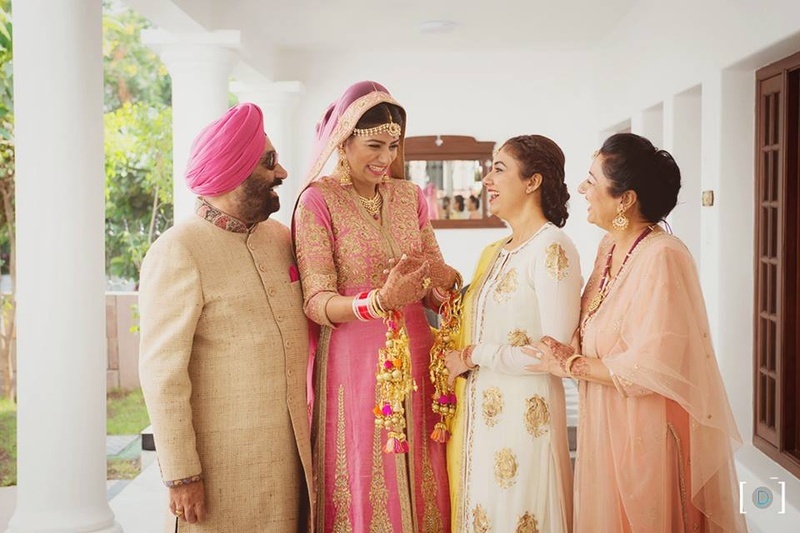 What to look out for as you scroll through this wedding - Bismin's beautiful bridal outfit from Frontier Raas, the all-marigold decor at the chooda ceremony and the minimal yet stunning bridal makeup by Aradhna Khanna, Delhi! 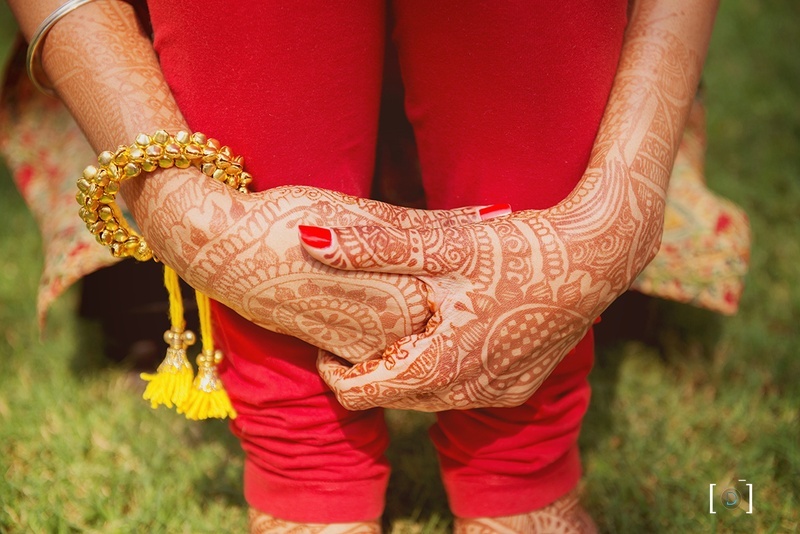 Hands filled with beautiful intricate mehendi design. 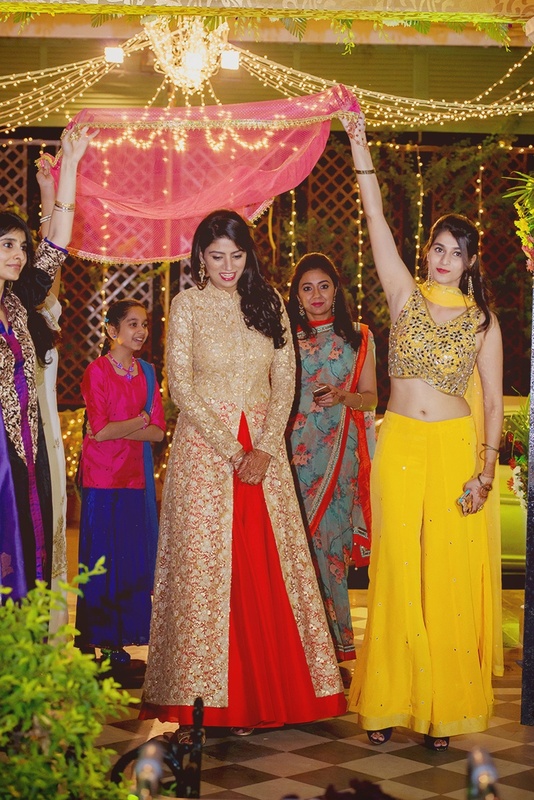 Beginning of Haldi Ceremony held at Jehanuma Palace Lawns, Bhopal. 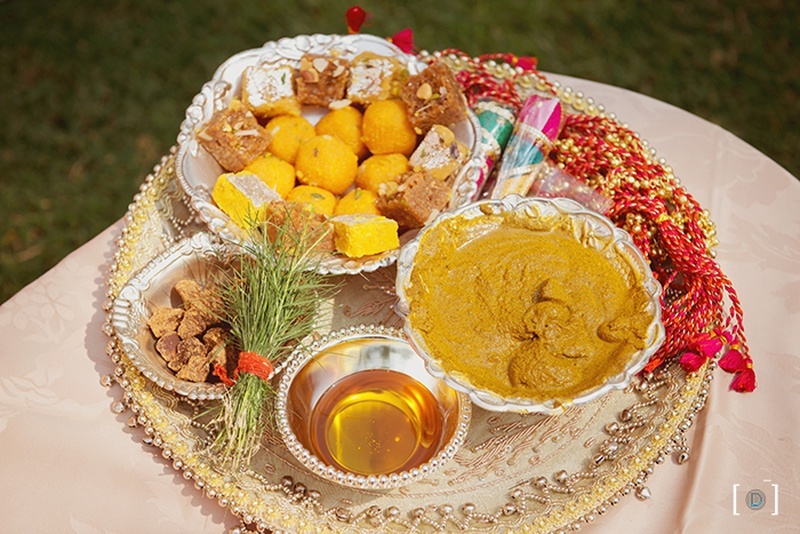 Beautifully decorated Haldi plate with haldi paste, oil and some sweets for the Haldi Ceremony . 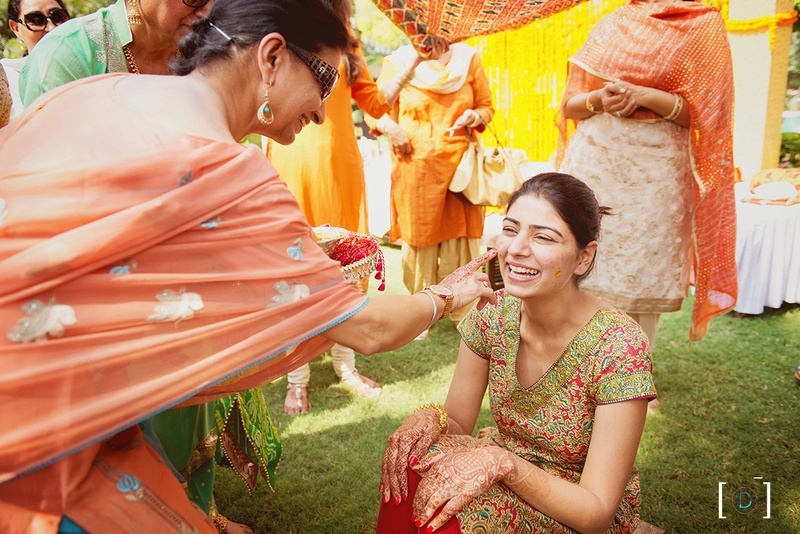 Haldi Ceremony Celebrations held at Jehanuma Palace Lawns, Bhopal. 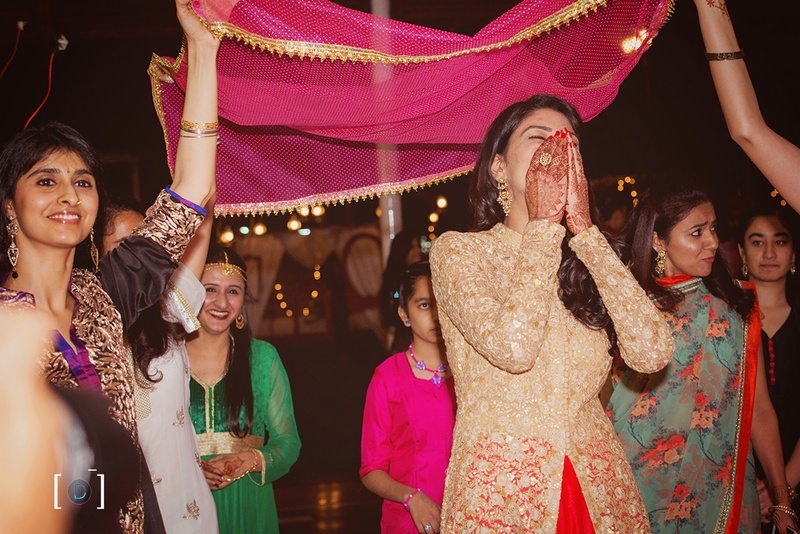 Bride Bismin wearing red and gold anarkali lehenga for the sangeet ceremony. 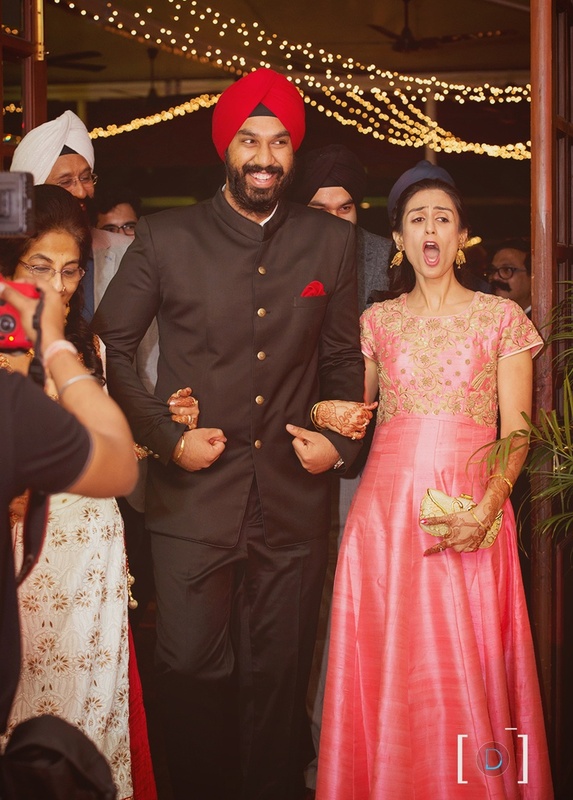 Bridal entry for the sangeet ceremony. 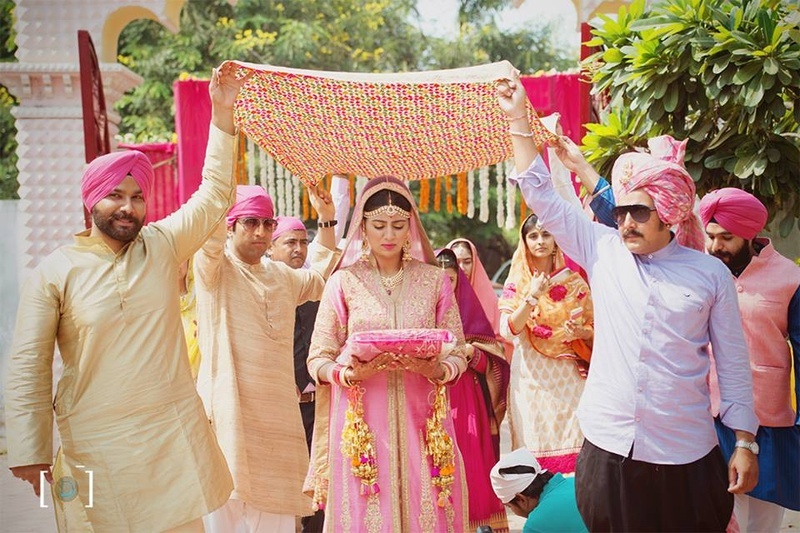 Groom Tejkaran enters royally holding his sister's and mother's hands for the Sangeet ceremony held at Jehanuma palace lawns, Bhopal. 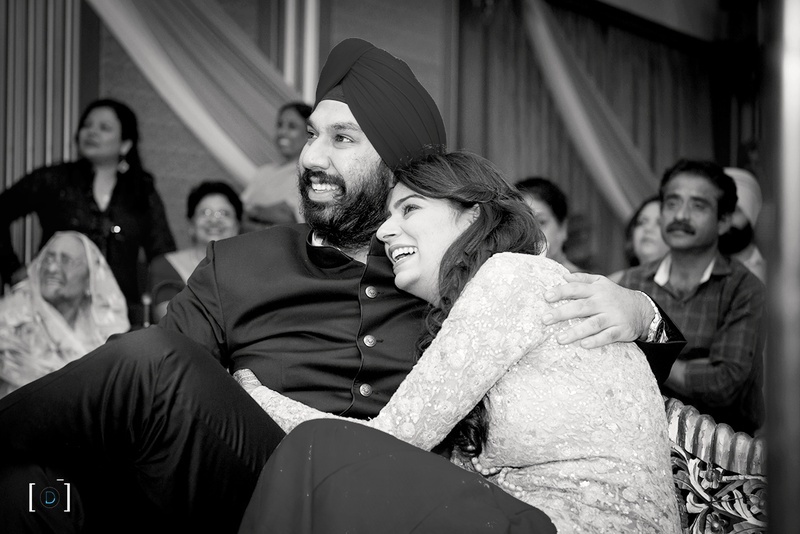 Black and white couple photography by Dhanika Choksi Photography. 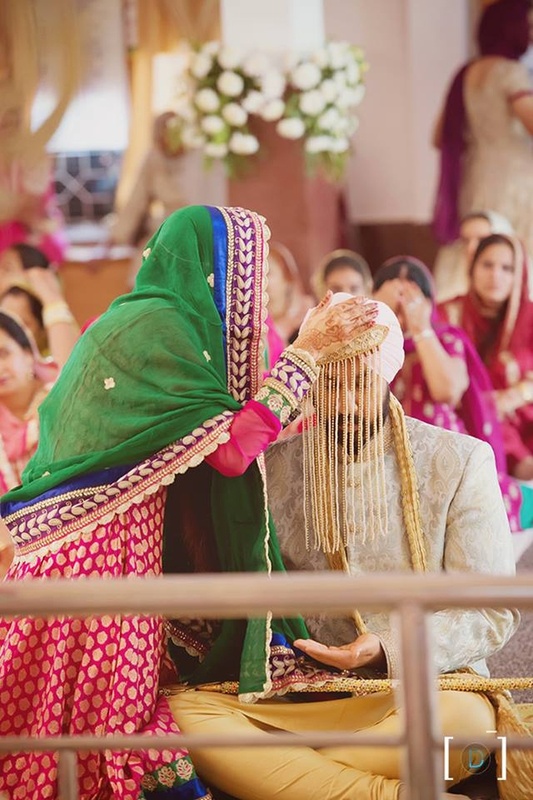 Kaleere Ceremony held at Jehanuma Palace Lawns, Bhopal. 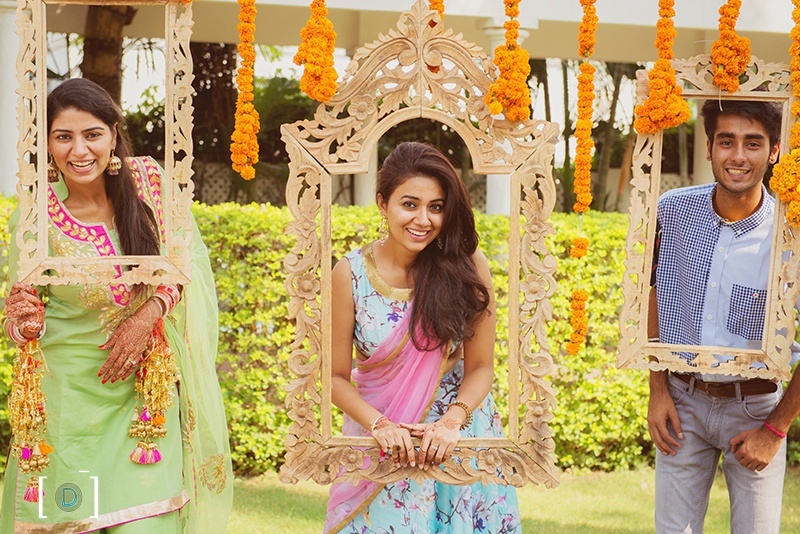 Fun photobooth installations at the Kaleere Ceremony held at Jehanuma palace lawns, Bhopal. 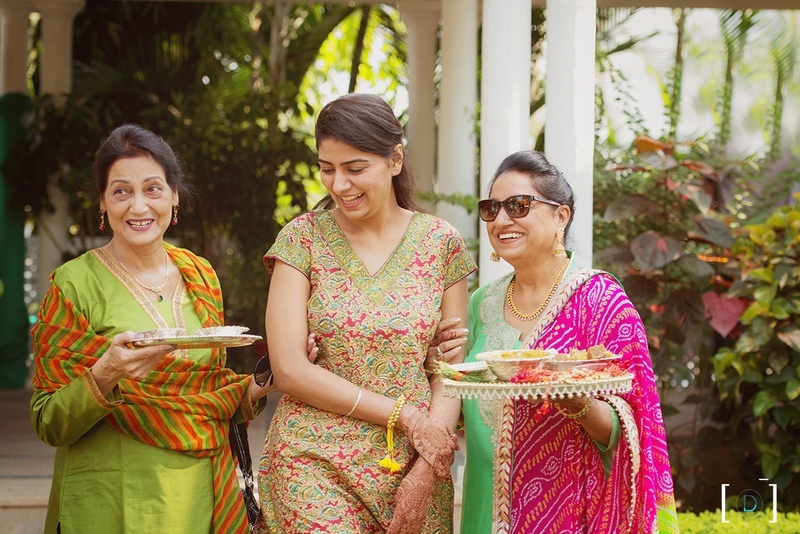 Wearing mint green kurti and palazzo with gota patti work styled with minimal jewellery for the Kaleere ceremony held at Jehanuma palace lawns, Bhopal. 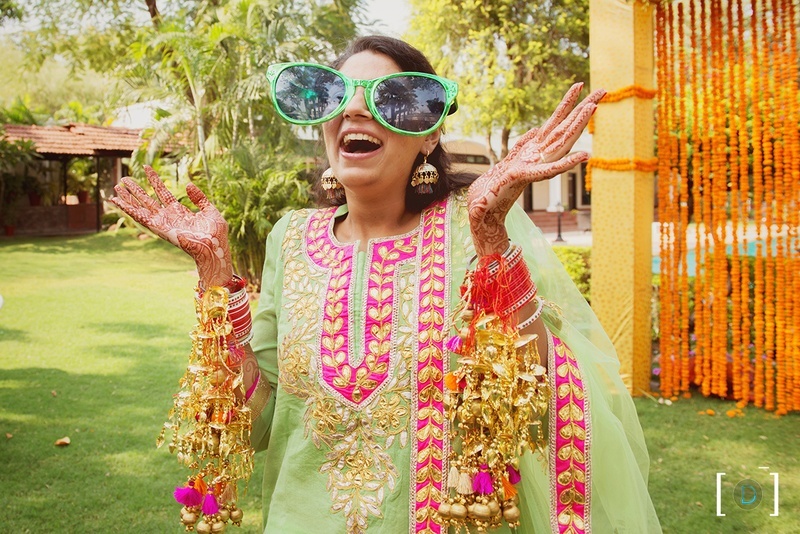 Wearing mint green kurti and palazzo with gota patti work styled with minimal jewellery for the Kaleere ceremony . 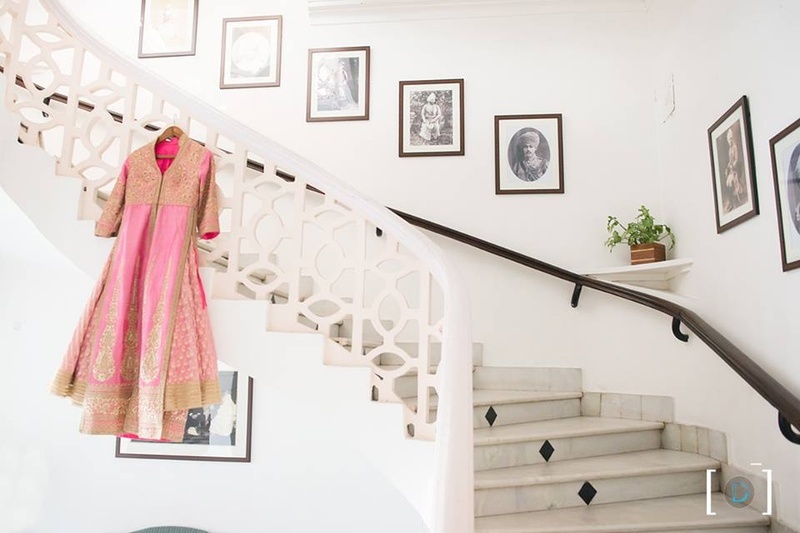 Bridal Pastel pink Anarkali for the wedding ceremony. 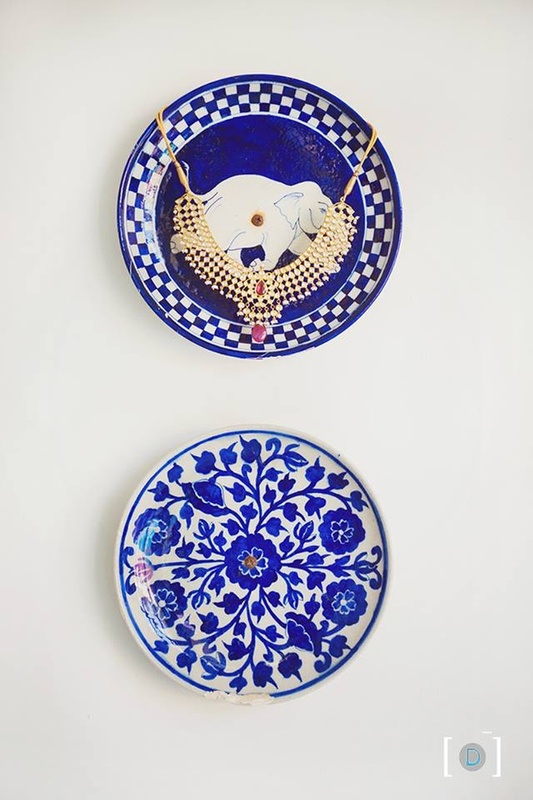 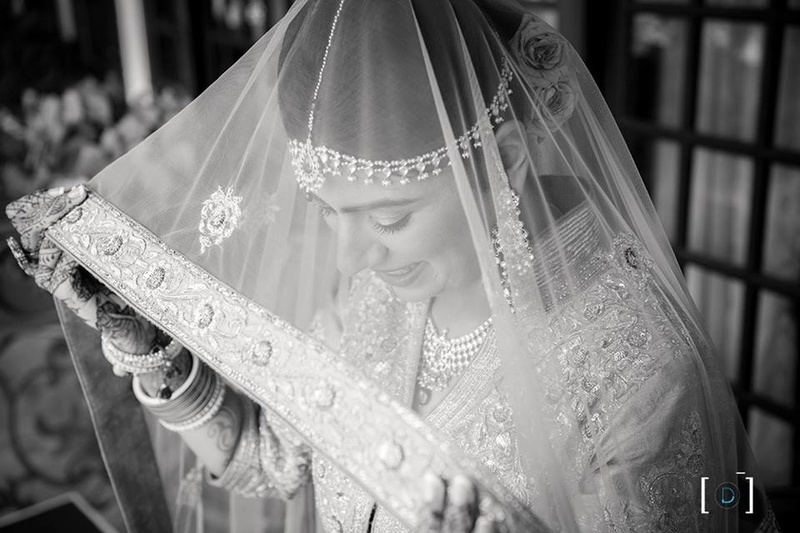 Bridal jewellery photography by Dhanika Choksi Photography. 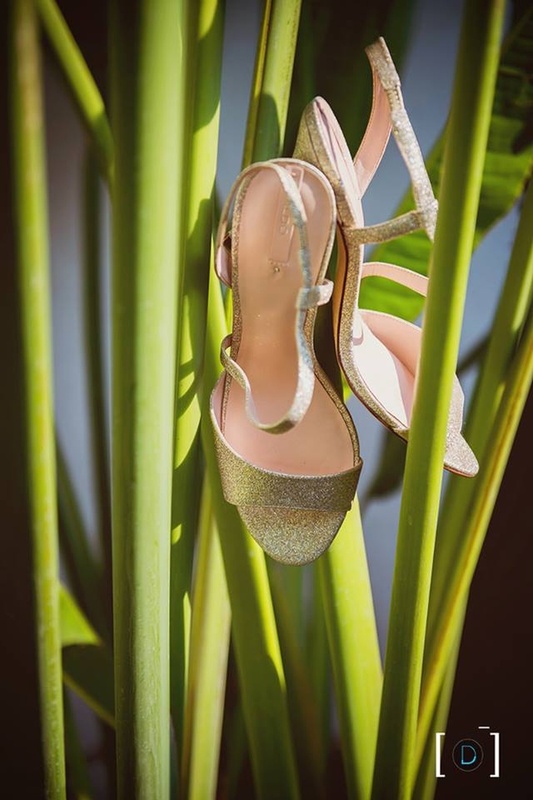 Bridal gold glittery Aldo shoes for the wedding day. 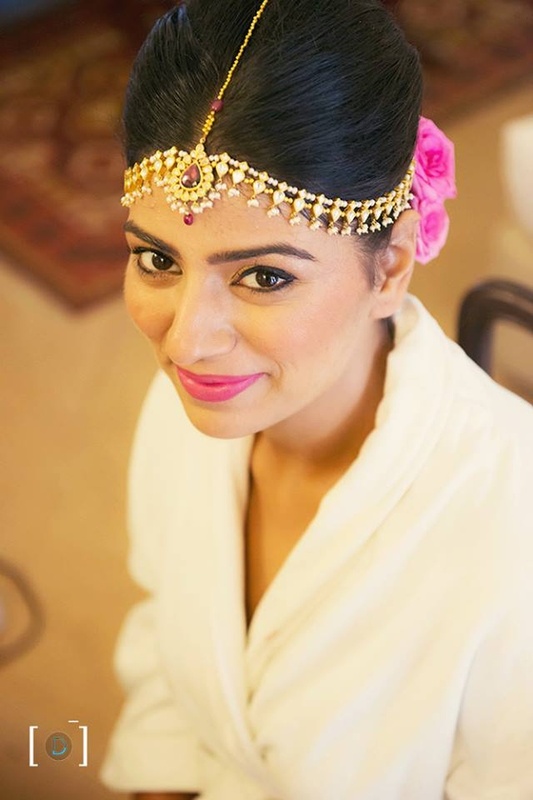 Adorned in beautiful kundan bridal jewellery. 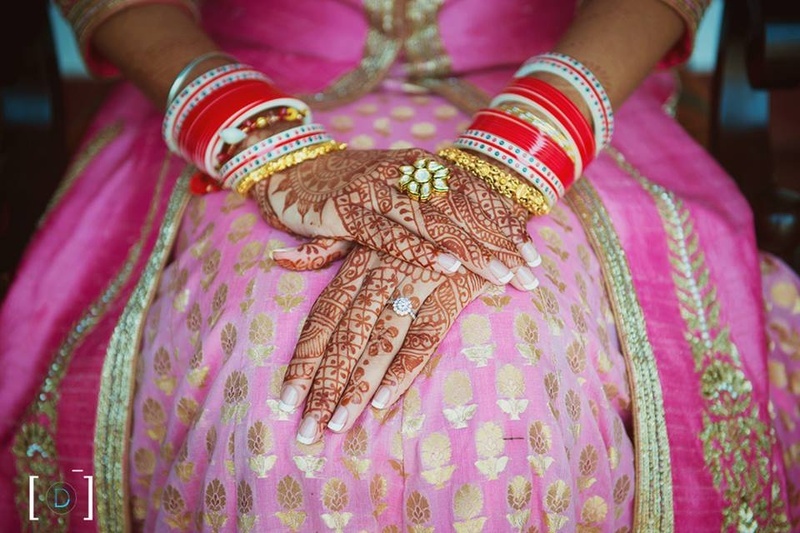 Hands filled with beautiful mehendi designs. 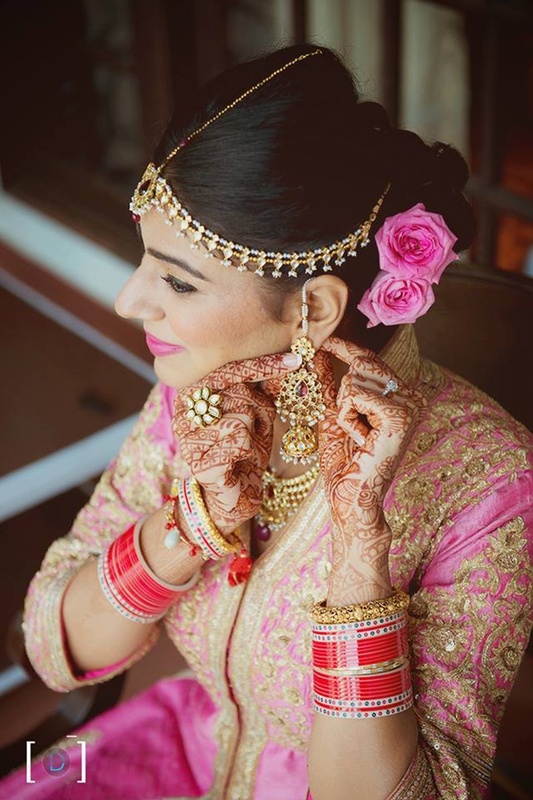 Wearing pastel pink anarkali with gold embroidery styled with kundan jewellery. 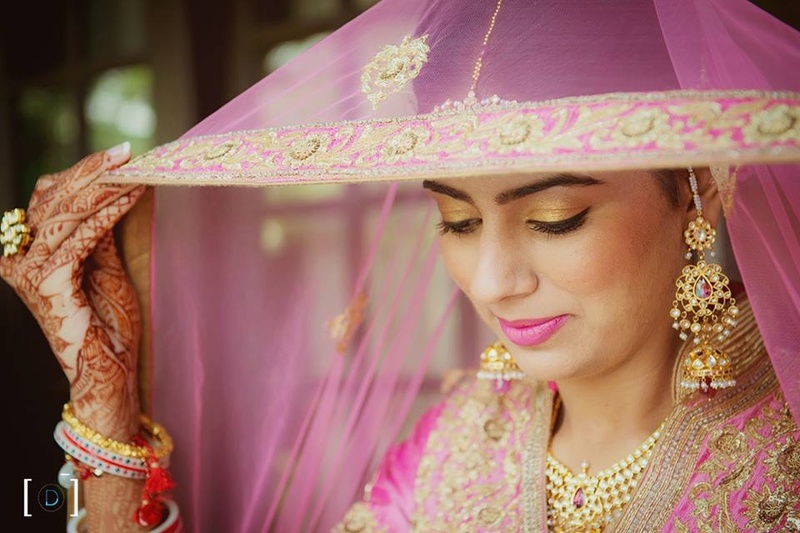 Bridal photography by Dhanika Choksi Photography. 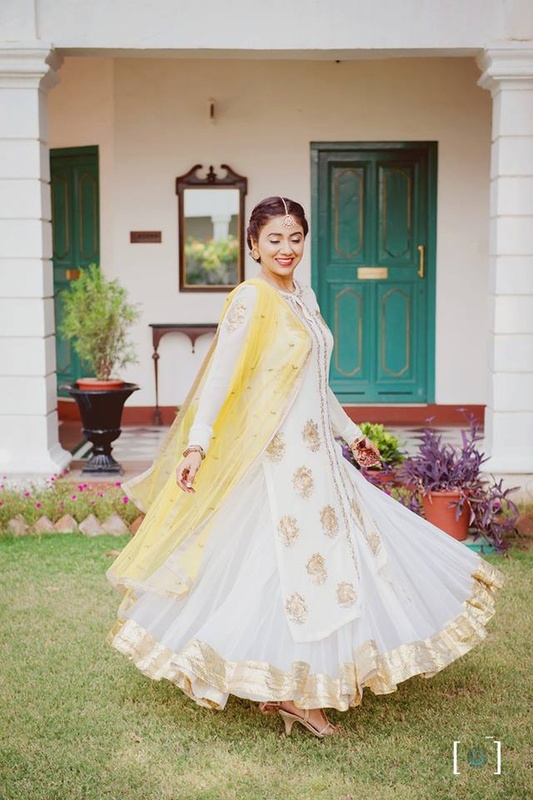 Twirling sister of the bride in pure white and gold anarkali for the wedding day. 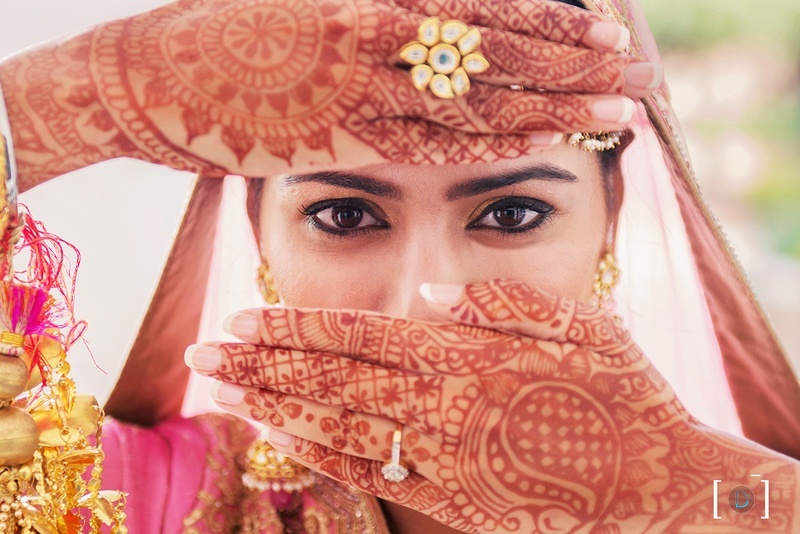 Bridal photography by Dhanika Choksi. 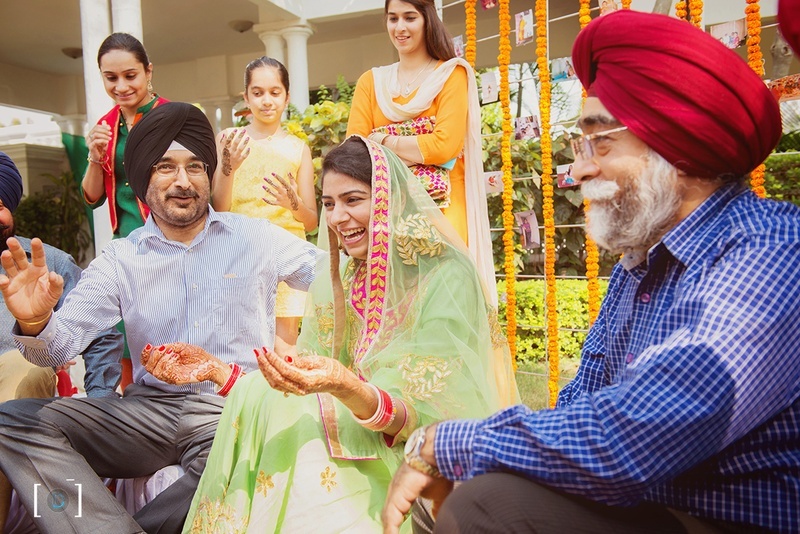 Bride Bismin with her family on the wedding day. 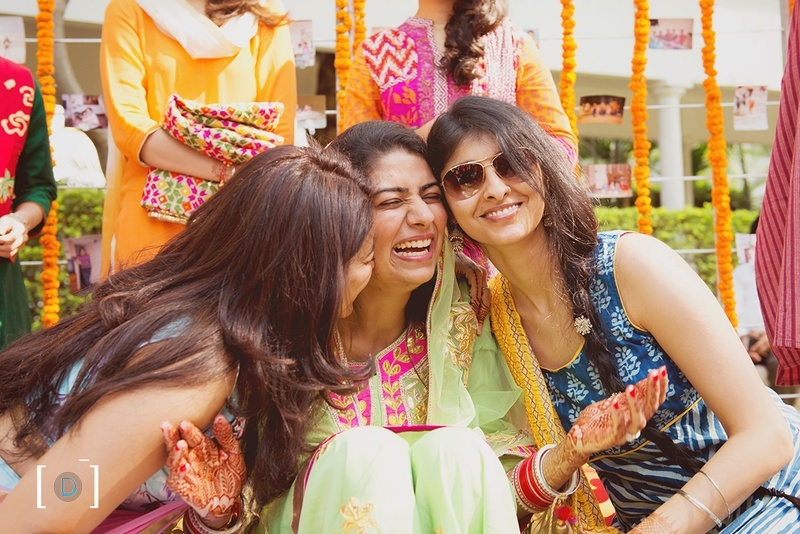 Some sister love just before the wedding ceremony. 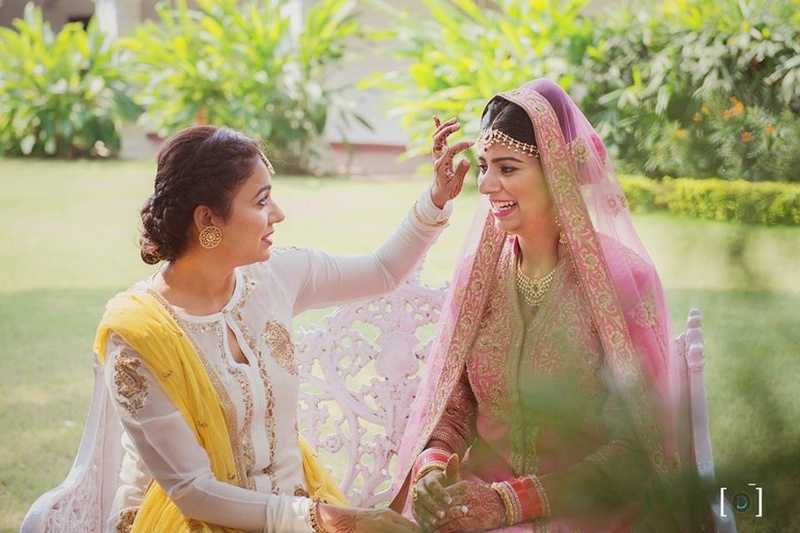 Candid bridal photography by Dhanika Choksi. 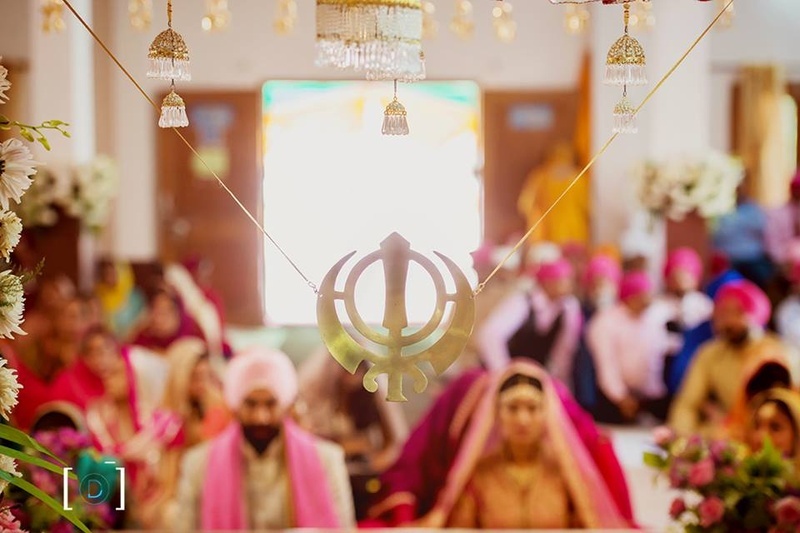 Wedding ceremony held at Gurudwara. 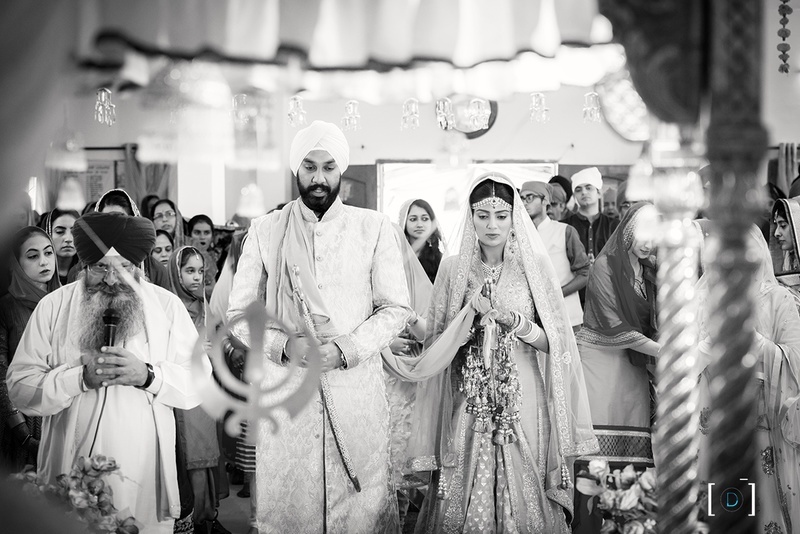 Black and white candid wedding photography by Dhanika Choksi. 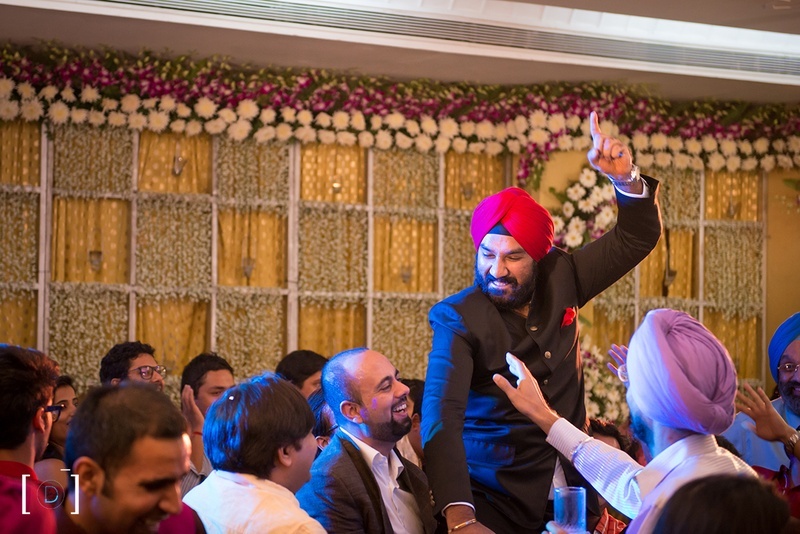 Happy moments at the wedding captured by the ace photograqpher Dhanika Choksi. 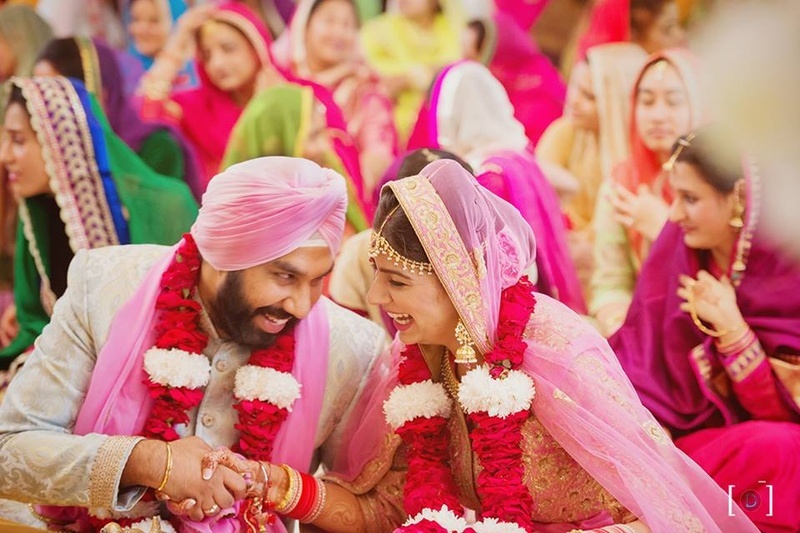 Complementing each other with the pastel pink tint. 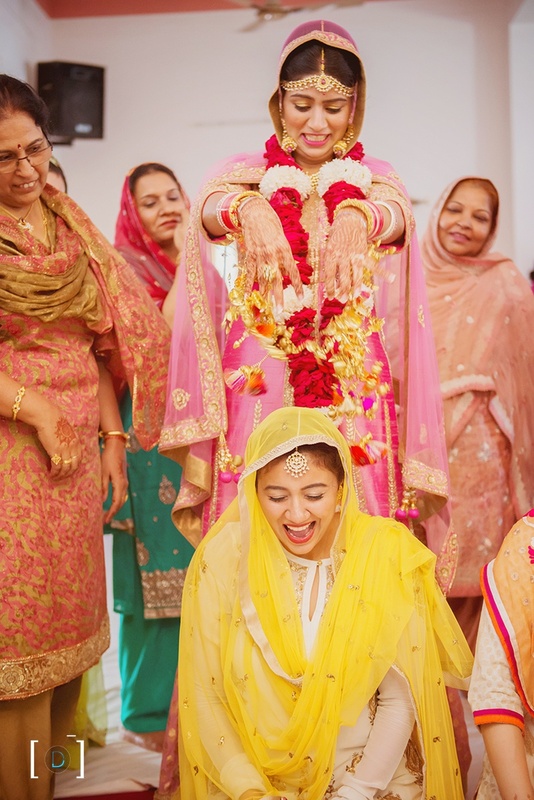 Punjabi wedding traditions- Showering Kaleere on her sister! 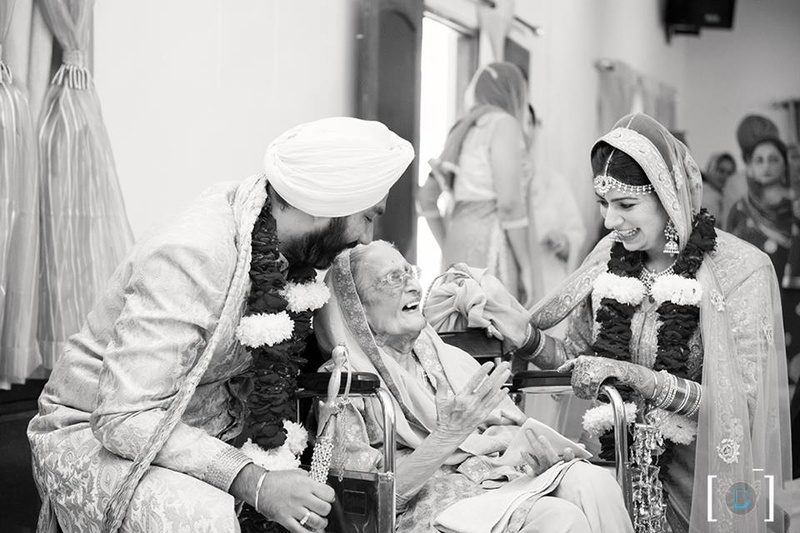 Black and white candid photography by Dhanika Choksi.